From the Colorado River drainage to the Snake, western rivers are high, muddy, and a pain to fish. If you know where clean water is, you keep it close to your vest because this spring is so . . . This Colorado River cutthroat, from southern Utah, displays dark, rich colors. Considered one of the more beautiful trout in North America, the Colorado River cutthroat trout (Oncorhyncus clarkii pleuriticus) once inhabited the high-elevation streams and lakes of the Green . . .
Roberts says he captured this image during a brief interlude between hookups on a banner day on the Green. Utahn Doug Roberts–who runs Old Moe Guide Service, based in the town of Dutch John, sent in this killer photo of a big brown getting ready to send a blue-winged olive down the hatch. Huge . 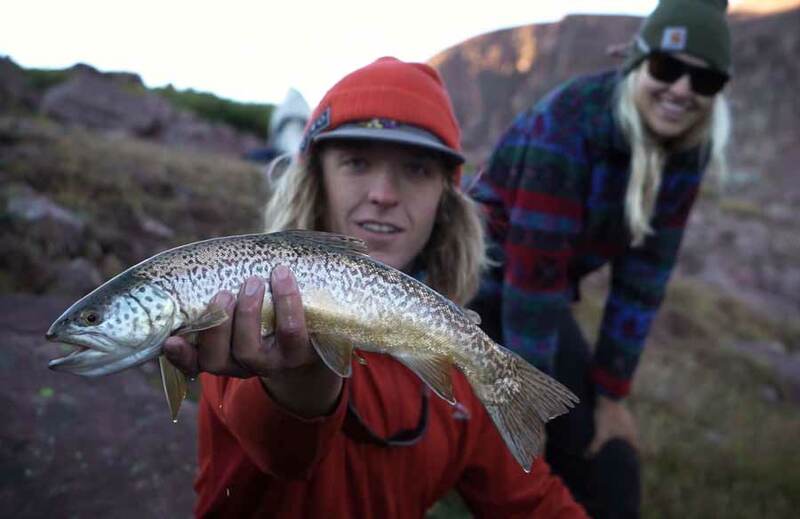 . .
One of the most common question that fly-fishing guides get is, “What do you do when you’re not guiding?” For most of the pros I know, the answer is the same: “I go fishing.” Here’s a great video from a series called “Unguided,” about those trips that guides . . .
Fall fly fishing can produce some of the most memorable moments of the year. 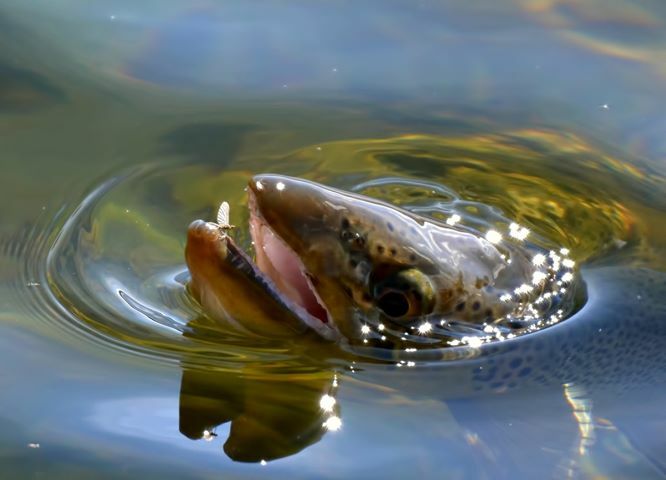 With colorful surroundings and colorful brown trout, it is something to look forward to. In Utah, where. . . 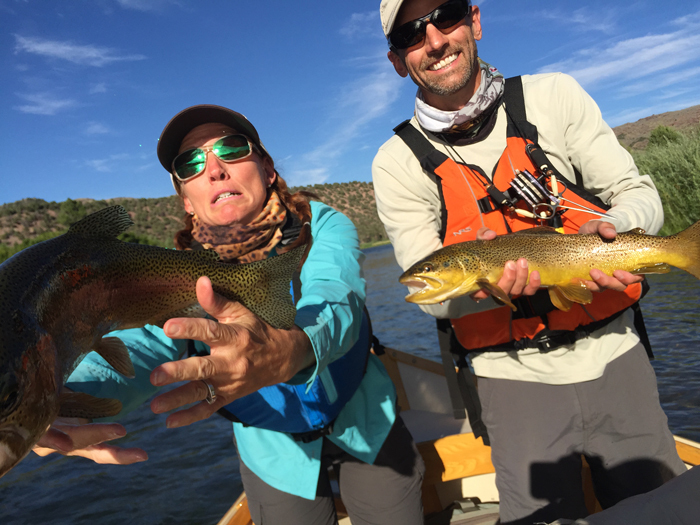 Outdoor journalist Kris Millgate and her husband, Jim, fish the Green for their anniversary. It’s 2011. I’m on Utah’s Green River shooting my first film for Trout Unlimited. The Green is a marvelous blue ribbon running through red rock. I need to see every stretch of it because there’s . . .
Paul Thompson shows the stunning colors of a wild, native Bonneville cutthroat. 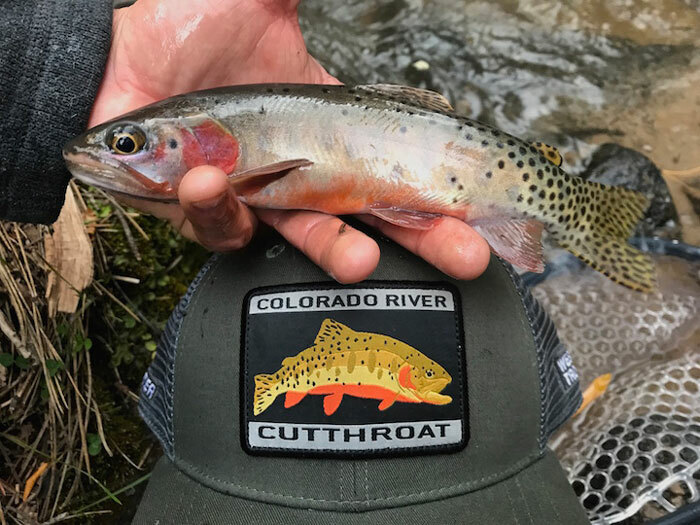 We’ve posted three times about the fantastic new Utah Cutthroat Slam program, which requires anglers to land the state’s four native subspecies—Bear River, Bonneville, Yellowstone, and . . .
Catching native trout in their native range teaches us a lot about conservation. Plus, it’s a blast! After fishing the Arizona Wild Trout challenge, I was eager to find similar programs that could teach me about native trout species. One that stuck out to me was the Utah Cutthroat Slam because I . . .
Big, beautiful rainbows are only part of the reason one fishes in Flaming Gorge. As John Gierach once wrote, “Fly fishing for trout is a sport that depends not so much on catching the fish as their mere presence and on the fact that you do, now and again, catch some.” Gierach states so plainly (rightly so, I believe) the eternal truth that anyone who regards fly fishing as. . .